When a cat wags his tail he is sending a strong message. Cats like to communicate with each other and with people using body language. And a cat’s tail has a language all of its own! Cats use their tails to tell those around them how they are feeling. 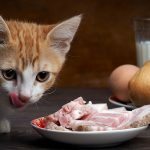 From swishing or wagging their tails from side to side, or raising them high in the air, cats are making signals to anyone who is watching. What are cats tails for? Many animals have long tails. Some use their tails for swishing away insects, some for balance, some even have tails that can grip and hold on. Every mammal’s tail is an extension of his spine and consists of a long column of tiny bones called vertebrae. The way the bones are connected, and the structure of the muscles that wrap around the bony column, are what gives the tail it’s ability to bend and curve. 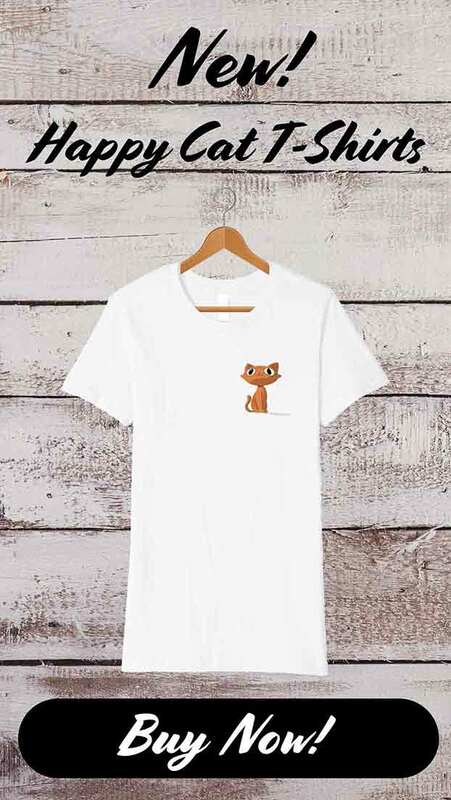 A cat has around twenty vertebrae inside his furry tail, which can be up to twelve inches long in total. And like kangaroos, cats use their tails to help them balance. But the cat’s tail has another purpose. It enables the cat to signal to other cats, and to people, in a very useful manner. 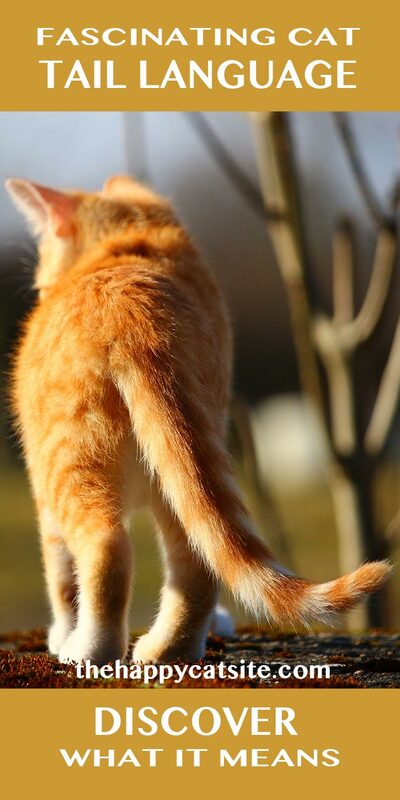 Different types of tail signal in cats mean different things. 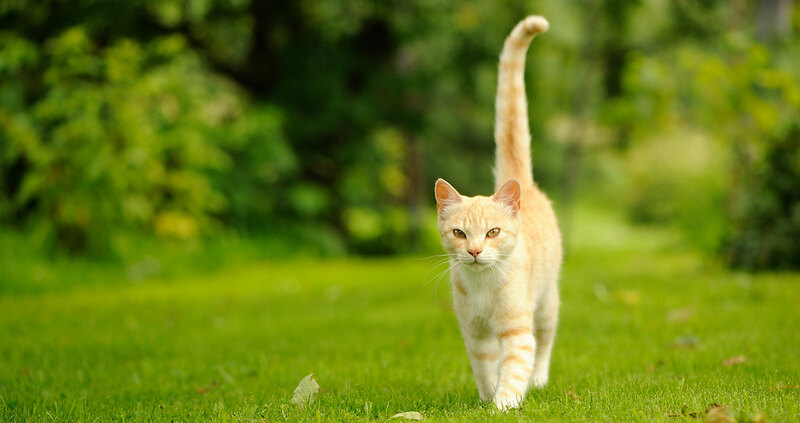 Here are some of the ways in which your cat’s tail can communicate how he feels. 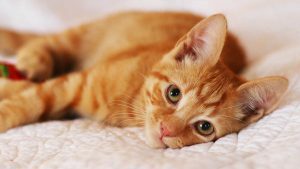 A cat who is wagging his tail fast and hard, lashing it from side to side, is sending a clear signal. It is the nearest approximation to the way in which a dog wags his tail. But it the meaning of the wagging tail in cats could not be more different. 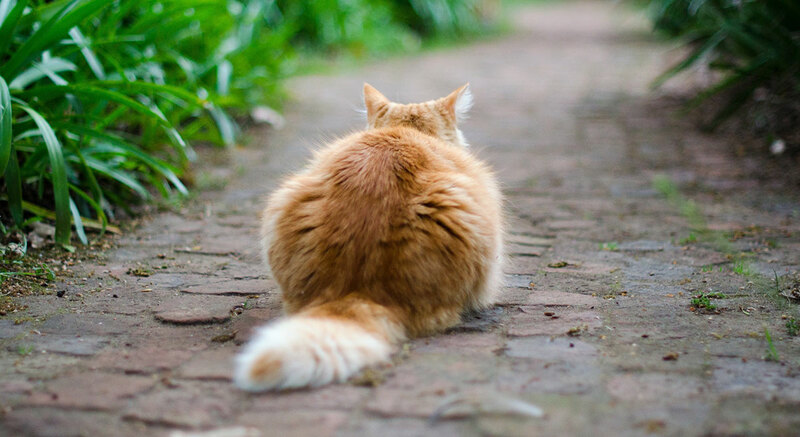 As a general rule, the harder a cat wags his tail, the more upset he is. Cats tend to assume that everyone knows what this means. They use this warning system in their interactions with other cats, other pets such as dog, and with people. Anyone interacting with a cat needs to be able to read this important signal. It means ‘back off now or take the consequences’. If you persist in trying to handle a cat in this state you are highly likely to be bitten or scratched. Like dogs, cats will often give a low warning growl before they attack, and the lashing tail may precede or accompany this. How To Stop Cats From Scratching Furniture. An angry, or frightened cat may also flatten his ears. And fluff up his tail so that it resembles a bottle brush. 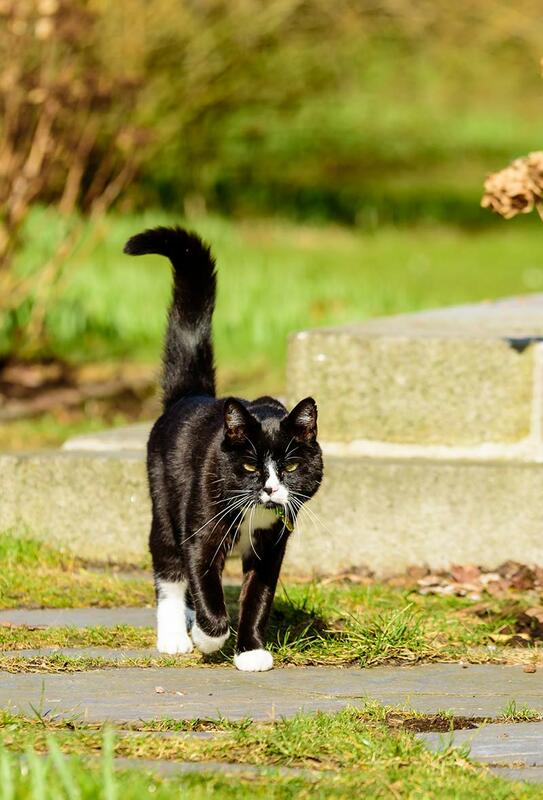 So, if a wagging tail that is lashing from side to side means a cat wants you to back off, what does his tail do when he is pleased to see you? The cat who is pleased to see you carries his tail high in the air. When you come home from work in the evening, the chances are your cat will greet you by twining himself around your legs with his tail held high in the air. Cats are skilled predators. If you watch your cat stalking a bird or insect, or playing with a toy, you’ll see the predatory tail twitch. The cat will often twitch the tip of his tail just before he pounces. The purpose of the twitch may lie in mesmerising prey or in attracting the prey’s attention to encourage movement, so that the cat can target his strike more accurately. Sometimes a relaxed cat will gently twitch his tail when looking out of the window or watching something going on around him. A cat may wrap his tail around him when sleeping. This usually signifies a relaxed and contented cat. The cat who is backing up, with his bottom in the air and a strongly quivering tail is about to spray urine. 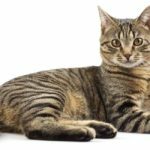 If your cat is moving towards you tail held high and quivering very gently, you don’t need to panic, this is just an extra friendly greeting. 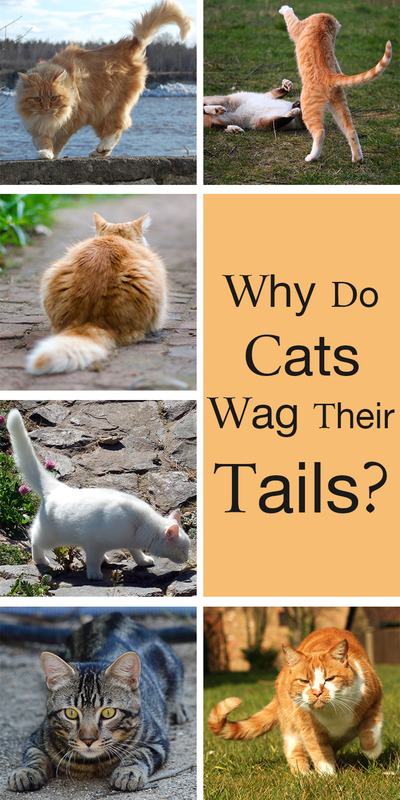 Why Do Cats Wag Their Tail? Your cat’s tail is an excellent barometer of how much he is enjoying the attention he is getting. It tells you when he is pleased to see you and when he is feeling irritable. 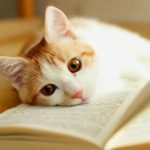 Understanding cat tail language can help small children learn when a cat is ready to be petted, and when he wants to be left alone. And it helps all of use to get along better with our beautiful four legged friends. How about you? When does your cat wag his or her tail and does he have any other ways of showing his displeasure? that was interesting to know about cats wagging tails. My cat climbs up in my lap at night while I am watching TV. She invariably has her tail held high shaped like a question mark. I tell her she can sit with me but put the question mark down.. as it shields me from the TV… Cats are so remarkable creatures.. I have always loved them a lot ..and each cat has a different personality…. My cat is 11mos. Old and am uncertain what a vertical swaying back n forth means. The movement seems so calculated and like she’s thinking about something. It doesn’t appear very playful. She’s been to the vet recently due to infection from a cat/animal bite and started this tail movement moreso thereafter. What does t mean when they swipe at you when you go to bed. I’m a lifelong cat-lover and owner. 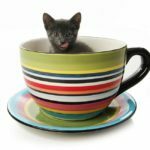 I’m in my 50s, so I’ve shared my life with a bunch of cats over the years. I currently have one cat who must have misunderstood his mommy’s teachings about the meaning of when cats wag their tails, or maybe he was raised with dogs. (I don’t know, because I adopted him as an adult cat from a shelter.) In my Monster’s case, his tail wagging is just like that of a dog. It means he’s excited and happy to see me. To all the other cats I’ve ever had, it means they’re ticked off big time. We adopted our cat from a dog shelter when he was 4 months old. He also wags his tail from side to side while sometimes smacking the floor with it when he’s feeling very happy and sassy at the same time. But there is a difference in the sideways wag when he’s angry which I’m sure you recognize. His sign of great affection is the upward questionmark, wide swirling wags and as he gets closer, holding his tail straight up while twitching the end. He communicates very well using his paws too. He lays close enough to have a paw touching as a sign of love, scratches with one pay on what he wants at treat time, and frowns when I ignore his begging. Cats are wonderful creatures and great companions. They’re all uniquely beautiful. My cat teaches me something new all the time and has me well trained. My Cat does this too! She greets me as if she was a dog with her tail wagging wildly. It’s certainly a friendly, happy sign in her. I have 4 others though where it means the complete opposite! I have noticed that when my cat is relaxed and enjoying me petting her, she will entwine her tail around my petting arm and slide it around, caressing it. When I let my hand lie after having petted her, she will use about 4 inches of the tip of her tail to caress my hand or just gently raise and lower it onto my hand, as if she were petting me! I believe she is! I agree wholeheartedly! I am fortunate enough to have the son of a dearly departed cat. He and his son do the same thing as was mentioned above he pets me with his tail-and on a really good day, he strokes me with the tip of it! So precious, and loved! I can tell when my cat is angry. His pupils dilate and I know instantly to back off! Had too many scratches over the years and learned the hard way! Even now, some of his body language is confusing, but he’s usually a happy bunny! My torti Lucy is around 3 1/2 years old now, but I had her spayed when she was maybe 4 months old. As far as I can tell, she has never sprayed in her sweet little life. But I do let her go outside to get fresh air & play in the grass. When I go out to bring her back inside for the day she will sometimes lift her tail up at the fence or against the house wall & do the cat spray motion with her tail. It’s weird, as I didn’t think girl cats sprayed. I can’t detect a urine smell from her, but I do smell it when a neighbor cat comes by and sprays over here. The first thing she does when I let her out the next day is sniff around. When she makes her icky face I hose that area down (she loves running water) & when everything is clean enough for her Majesty she will happily run around with her tail proudly straight up. I have a spayed female who is at least part Bengal, and she sprays, but only in her litter box. Am glad upright tail means she’s happy. I wasn’t sure, Fifi’s tail is up most of the time. I looked for an answer or comment on this. My cat will often take her paw and pet my face. I think she is telling me she loves me. She is a shelter cat. Nine years old. I’ve had her eleven months. I find it endearing. Aww my Lola does exactly the same – it is so endearing…and to think that some people assume cats are cold and aloof. My 8 month old spayed female tabby kitty swipes my face gently while purring to wake me up at 6, or 5 or 4am- so I can freshen her food bowl. I’ve tried petting her, made sure litter is clean, but the only way she will stop petting my face with the urgent purr is for me to freshen her food bowl. She has me so well trained! My rescue kitty willow wags her tail all the time whether purring or whatever. I can’t tell what’s going on with her. Some cats are quite hard to read aren’t they! My two cats are 8 and 12 years old respectively. Yet when I pet them they do flick their tails but they also reach out with their claws as if they are trying to kneed. Is that normal? Both are spayed/neutered.